What’s good: Made from a leather/poly-fabric mix, with carbon knuckle guards, it also packs a waterproof membrane and wrist protection. Deputy Editor Richard Newland can attest to the waterproof capabilities of Alpinestars' Drystar range. He says his Vega Drystar gloves are completely waterproof. What’s not: The short style makes it hard to seal these under jacket sleeves. 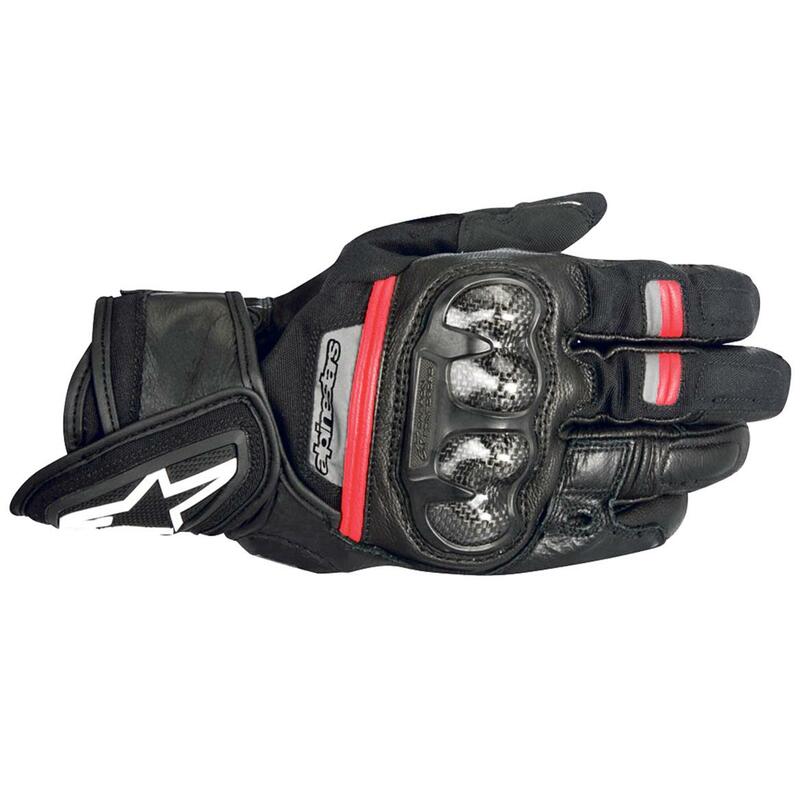 If you're looking for a waterproof summer glove but prefer more wrist coverage, the SP-Z Drystar would be better suited.